Arutz Sheva mourns the passing of Rabbi Schertz, who sent us this article a week before his death. We wrote him then that it would be posted in the 9 Days, not imagining that his shloshim would be Rosh Chodesh Av. May his memory be blessed. The writer received semicha from Yeshiva University and a masters in Jewish Philosophy from YU’s Bernard Revel Graduate School as well as a masters in the History of Ideas from New York University, and a PhD from New York University in the History of Western Thought. He taught Classics in Penn State and Philosophy at Regis College in Denver and served as the Rabbi of Kesher Israel Congregation in Harrisburg, Pennsylvania for over 25 years, is now retired. Human experience can be understood in one of two ways. That is true whether the experience is one of happiness and joy or one of mourning and grief. One way to understand experience is existential in nature. The event is transcendent and human beings contribute nothing to its formation. Although human beings can totally participate in the event, they can do nothing in either adding to it or diminishing from it. A good example of this is the concept of Oneg, pleasure, which directly defines the nature of the Sabbath, rather than Simcha which is a defining category in experiencing the festivals. Jews contribute nothing to the definition of Oneg Shabbat, but contribute everything to Simcha in the pleasurable experience of the festivals. Thus, when it comes to Simcha of the festivals, the Talmud offers specific guidelines for how that can be accomplished. Thus, men achieve a sense of Simcha by partaking of meat and wine. Women create a sense of Simcha by the purchase of new clothing and children engage with toys which their parents supply. Above all else, in establishing the state or timeframe of the festivals, it is the court that makes this determination based upon the testimony of witnesses. The Sabbath is predetermined by God without any human intervention. When it comes to the experience of the Sabbath, it is clear that it is the experience of the Sabbath itself, or the time during the Sabbath day in which the individual participates but in no way creates. It is an existential moment which requires no special activity. Nevertheless, when it comes to the pleasure of the holidays, in addition to mundane pleasures, fulfilling the specific commandments of that holiday immensely adds to the enjoyment of the festival. The same principles operate at the opposite pole of the spectrum with regard to pain and grief. The human being can be directly afflicted by others, by illness or disease or by the withdrawal of food and drink. The pure expression of grief, however, is a state of being. It is an existential moment in time. It is not an assault of the body, but rather a destruction of the mind and spirit. The death of a close relative or friend can destroy the foundation of one’s life and leave him inconsolable, i.e unable to understand the rules and order which enable him to navigate the world around him. The inability to control that state of mind can only leave him in a state of disillusionment. 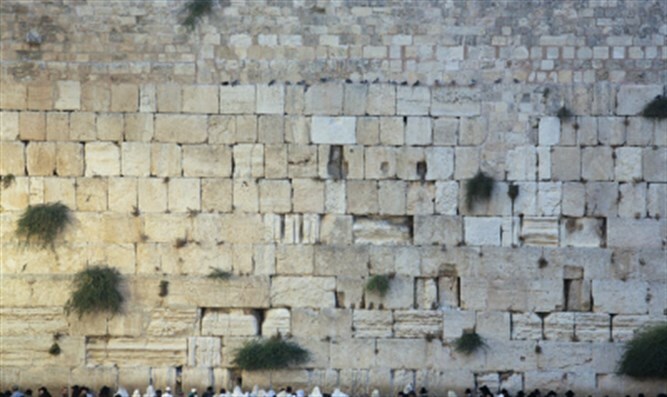 The experience of Tisha B’Av contains both of these possibilities. On the one hand, it is an event which is brought forth with physical punishment and rebuke. In addition to that, however, Tisha B’Av also contains a mental and spiritual dimension, and that dimension is experienced as grief or Avelut, mourning. The sense of punishment or rebuke which is delivered by others is expressed primarily through fasting. Jews thus become cognizant that they have sinned and petition God to forgive them. Fasting is an expression of the process of Teshuva, the return to God, which is crucial for human survival. Other behaviors are also introduced to ensure that repentance is properly focused. These afflictions of the body include, bathing, anointing the body with fragrant cosmetics, abstaining from cutting one’s hair and marital relations. Tisha B’Av, however has another dimension which is not a platform for Teshuva, but is occasion of deep grief and mourning over the destruction of the Temple. An awareness of that moment brings about total devastation. It is the ultimate occasion for Jewish grief which brings into question whether the Jewish people can survive. Thus, the Talmud recounts the Rabbis who wished to forbid any condition which at one time occurred in the Temple, but which was no longer possible there. The Rabbis concluded, however, that they would not do so because the experience of that profound grief could lead to mass suicide. See Bava Batra 60b. Thus, the Rambam separates the aspect of repentance from the expression of spiritual abandonment. When it comes to repentance, all Jews must accept upon themselves specific restrictions. When it comes to the sense of profound abandonment by God, not all Jews could honestly express those feelings. According to the Rambam, the aspect of Avelut or mourning should be reserved to those who can truly comprehend the profound devastation which occurred with the destruction of the Temple, i.e. Talmidei Chachamim. See Rambam, Hilchot Taaniyot, 5:11. For those that express Avelut, but did not truly experience the devastation of abandonment by God, their acceptance of Avelut may be no better than a betrayal of God. Artificial grief is more offensive than grief which is not performed. The Tisha B'Av symbols of Avelut such as sitting on the floor or not greeting one another should only be done, according to the Rambam, by those who truly comprehend what they have lost. That is the way of truth and honesty. The shloshim event in memory of frequent Arutz Sheva Judaism section writer Rabbi Dr. Chaim Eliezer Schertz was held this weekend at the Kesher Israel Congregation in Harrisburg. Pa. where he served as rabbi for over 25 years before his retirement. At least 150 people crowded the synagogue to hear his son, Attorney David Schertz, talk about his illustrious father, an impressive and recognized Talmid Chacham whose Torah insights appeared on Arutz Sheva and in Jewish Action and whose halakhically-oriented analyses, notably one on conversion, were posted on the YULamdan website. . Rabbi Dr. Chaim Eliezer Schertz, z"l, born in Israel in 1945, moved to Boro Park, Brooklyn, New York with his family in 1952. He received Semicha from Rav Joseph Dov Soloveitchik of Yeshiva University and a masters in Jewish Philosophy from YU’s Bernard Revel Graduate School, as well as a masters in the History of Ideas from New York University, and a PhD from New York University in the History of Western Thought. Rabbi Schertz taught at Regis College in Colorado while serving as chaplain at a nearby US army base and later at Penn State. He had a great love of the State of Israel and his daughter Sarah made aliya and lives in Jerusalem with her husband and family. As a young man, he served honorably as a Chaplain in the U.S. Air Force and Army in the USA and Europe. He is survived by his wife Reva, children and grandchildren. Rabbi Schertz served as rabbi of the Kesher Israel Congregation in Harrisburg. Pa. for over 25 years before his retirement. 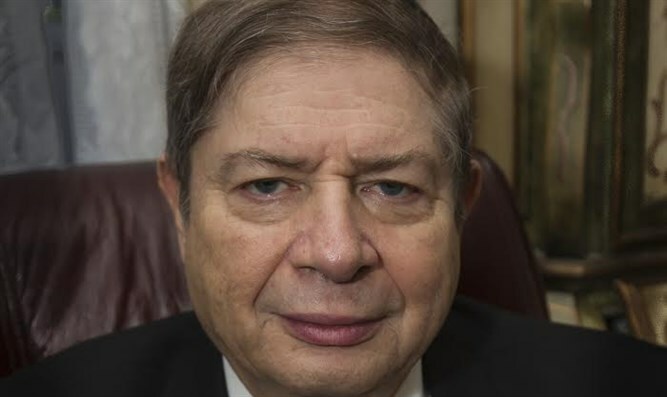 Several days ago, at the shloshim in his memory, over 150 people crowded the synagogue to hear his son, Attorney David Schertz, talk about his illustrious father, an impressive and recognized Talmid Chacham whose Torah insights appeared frequently on Arutz Sheva and in Jewish Action and whose halakhically-oriented analyses, notably one on conversion, were posted on the YULamdan website.